The European Union (EU) is at the forefront of engaging in external trade relations outside of the World Trade Organization (WTO) with entire regions and economic powerhouses. Understanding why and how the EU engages in one of the most active fields of external relations is crucial. This book fills a gap in the literature by analysing motives on the modes – bilateralism, inter-regionalism, or multilateralism - of EU external trade relations towards regional organizations in Asia and Latin America outside of the WTO. In particular, it examines why the EU turned from interregional to bilateral external trade relations towards these world regions – a question that is, to date, under-researched. By developing and testing an original approach rooted in realist theorizing coined ‘commercial realism’, it examines systematically the explanatory power of commercial realism against liberal-institutionalist approaches dominant in the literature on EU external relations through five in-depth case studies. This book will be of key interest to scholars and students in EU Politics/Studies, EU external relations, inter-regionalism and more broadly to International Relations and International Political Economy. 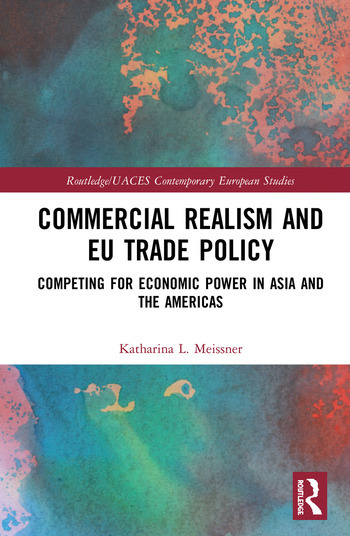 Katharina L. Meissner is an Assistant Professor at the Institute for European Integration Research EIF at the University of Vienna, Austria. Her work has been published in a number of journals such as the European Foreign Affairs Review, the Journal of Common Market Studies, and the Journal of European Integration.